what techniques you can use in your confirmation emails to engage your customers. Gigaom Research shows that 56% of the surveyed digital marketers believe that email marketing is the best way to retain the customers. At the same time 89% of marketers confirm that email is their primary source of lead generation. Moreover, people that buy products marketed through email spend 138% more than people that do not receive an email offer. Why don’t you use email marketing to your advantage? 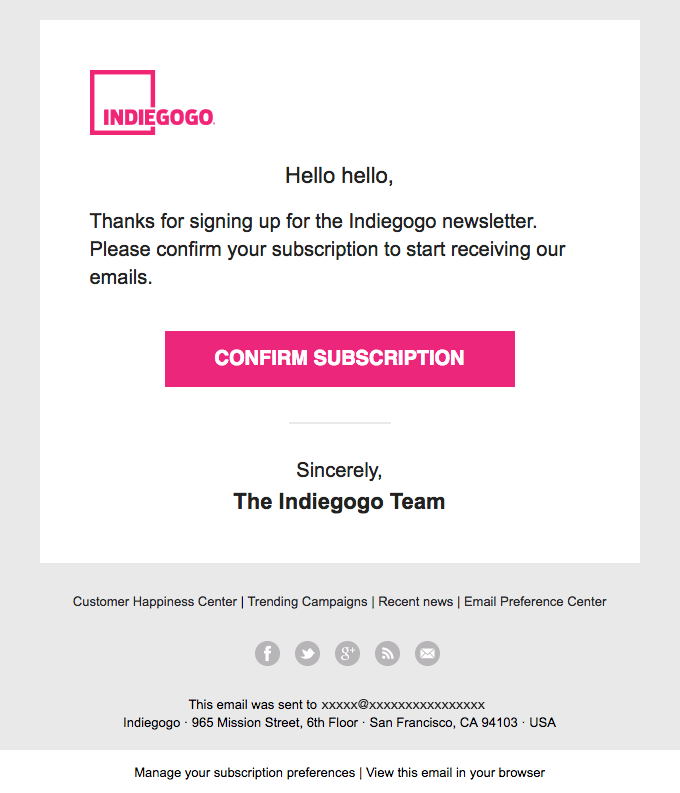 In this article, we’ll tell you how you can improve customer retention and boost conversion with transactional emails, and confirmation emails in particular. What are transactional and confirmation emails? If you have a website or mobile app, you probably send hundreds or thousands of transactional emails to your customers whenever they subscribe, place an order, complete registration, or when they send you a request. Transactional emails are usually triggered by user action; therefore, their open rates are eight times higher than any other type of email. These types of emails contain information that is really important for your customers, so your customers are interested in receiving it. Cart abandonment email: an email is sent to a person who engaged with your website or mobile app, but left without completing the transaction. Thus, confirmation emails are a subgroup inside the transactional email class. 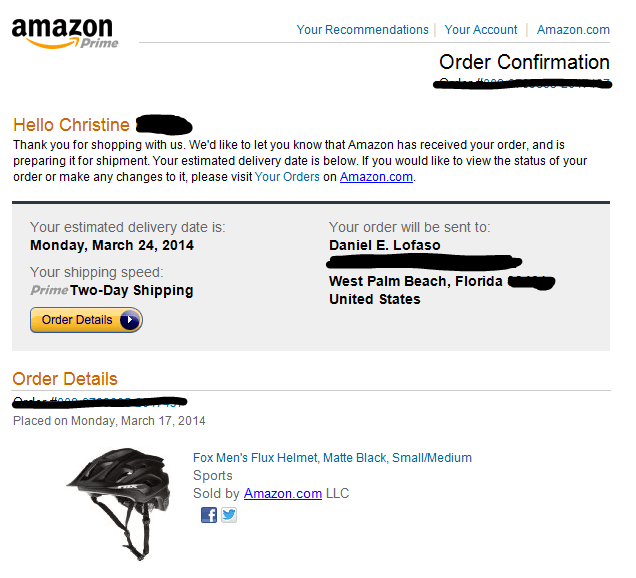 You receive a confirmation email when you subscribe for a newsletter, or place an order on an e-commerce website. Why are confirmation emails important? The lack of a confirmation email may produce uncertainty among your customers. It looks as if you ask someone an important question and receive no answer at all. Moreover, when the person you asked the question to gives you no answer and totally ignores you, it feels as if you don’t exist at all. It’s quite a frustrating situation, isn’t it? When you don’t arrange an auto-reply email after someone places an order, you frustrate your customers. 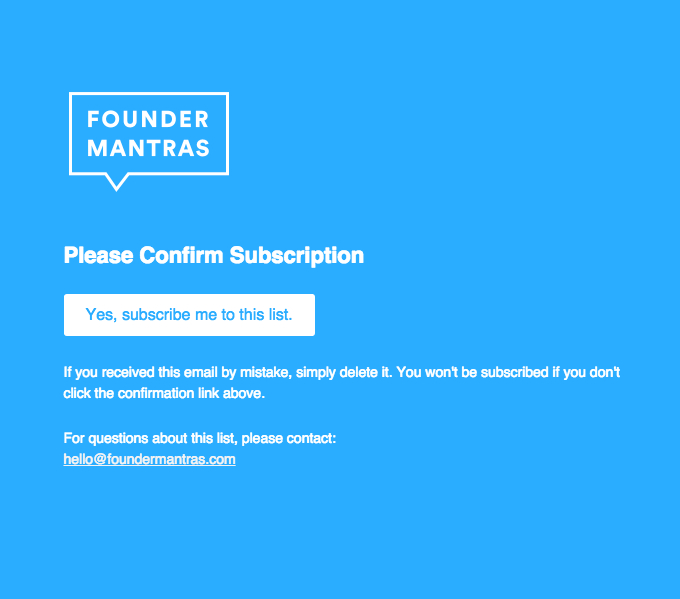 Do your confirmation emails satisfy your subscribers’ needs? Respect is the foundation of any business relationship – that is why you should make sure a user knows that he or she subscribed for newsletters and will receive emails afterwards. You can use double opt-in, when someone first indicates interest in receiving emails and then confirms this interest by clicking a button or a link in the subscription confirmation email they received. This is how you make sure your subscribers are engaged enough, in order to reduce spam complaints. Also, don’t forget to keep in mind the frequency of your emails. 54% of people unsubscribe because they receive emails too often. Open rates and SPAM complaints are the main indicators of how respectful your emails are. Your emails should function well, which means they should render well on different types of devices. The emails should not contain any spelling errors, and any links in your emails should lead to their proper destinations. 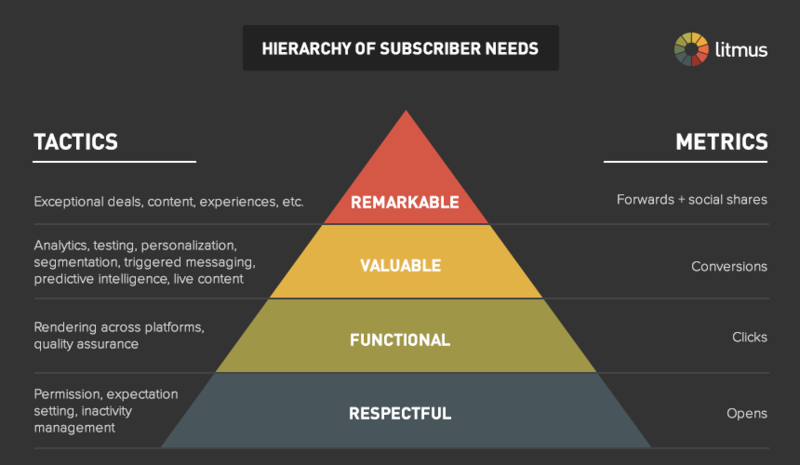 Your subscribers should find your emails useful. Emails should contain some value for them, i.e. some kind of news, deals, alerts, or other things. You can check how useful your emails are by looking at conversion rates and revenue. Your emails should contain something worth sharing – like an attractive deal, exclusive content, or special experience. You can see how remarkable your email is by looking at the numbers of forwards and social shares. However, it is very hard to create an email that will be shared by your customer. Only 1% of commercial emails generate forward-to-open rates of more than 5%. Why should you make more out of your confirmation emails? In most cases, confirmation emails are a really underdeveloped point of communication. They offer you an opportunity of a one-on-one conversation with your customers, but at the same time they are aimed at providing information and don’t lead customers back to your website. Usually, confirmation emails simply don’t imply any further engagement, however, they give you a great opportunity to engage with your customers. 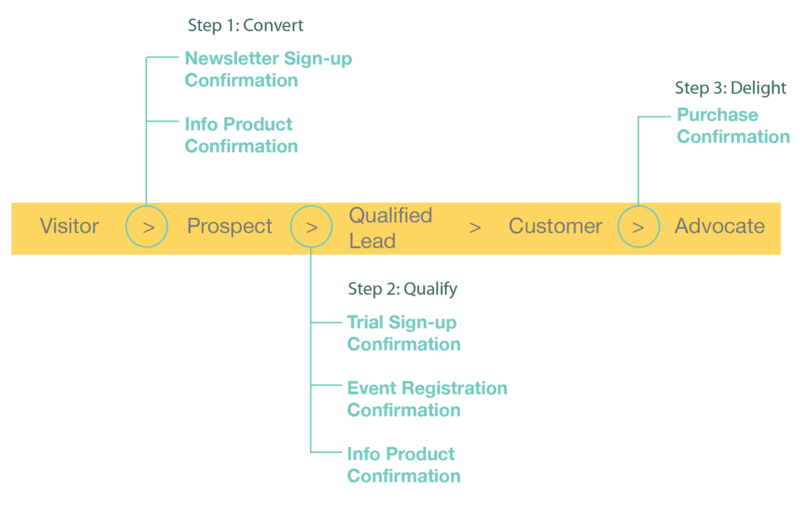 Moreover, confirmation emails happen at the critical points of the customer lifecycle. Confirmation emails provide you with fresh information on where your customers are in their life cycle and what they want. You can use this data to send them more offers that would attract their attention. 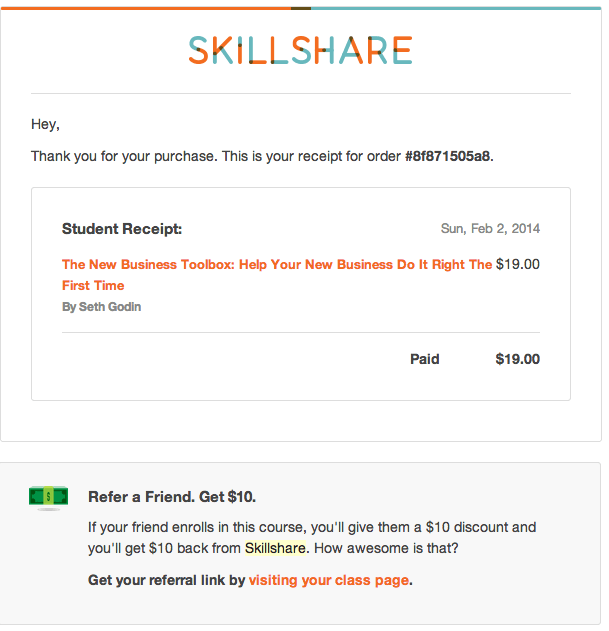 How can you optimize your confirmation email design to make more out of it? Here you can find some tips that will help you enhance your confirmation email design, engage with customers, and boost sales. Keep email design recognizable and in line with your brand, because your marketing efforts should be consistent among all the channels. In the following image, Etsy tries to represent the Etsy brand as well as the individual seller. Make your emails mobile-friendly, because nearly 50% of emails are read on mobile devices. However, only 56% of brands send mobile-friendly emails. Don’t forget to optimize your email design for viewing with images disabled, make sure that all links lead to the proper destinations, and proofread your emails for spelling errors. Let’s not forget about these best practices. You can show progression of your customer by event tracking. It can either move users to the next step or remind them to take action to progress. 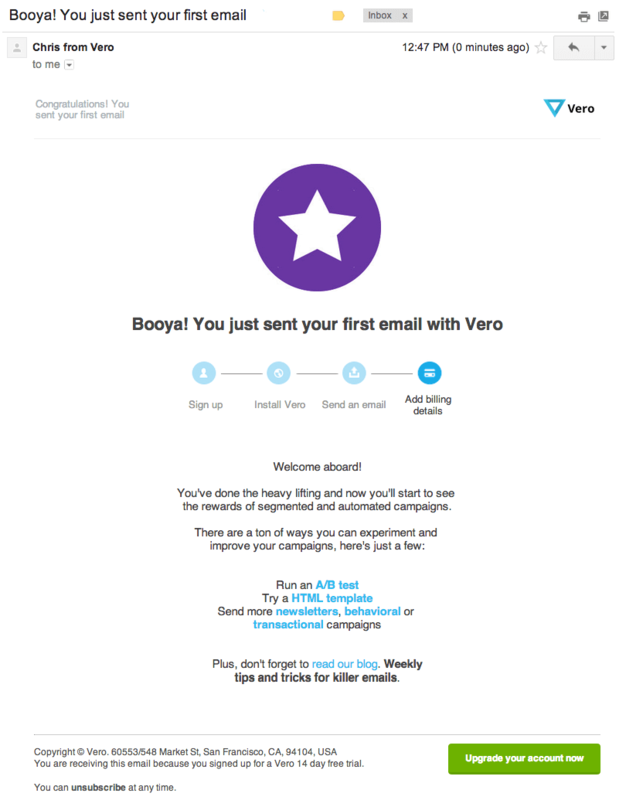 The Vero email with event tracking has a 72% open rate. This trick works because people like to complete things that they already started. Add website navigation to your email design. Even emails with limited website navigation have more than double the click-through-rate of those without any navigation. 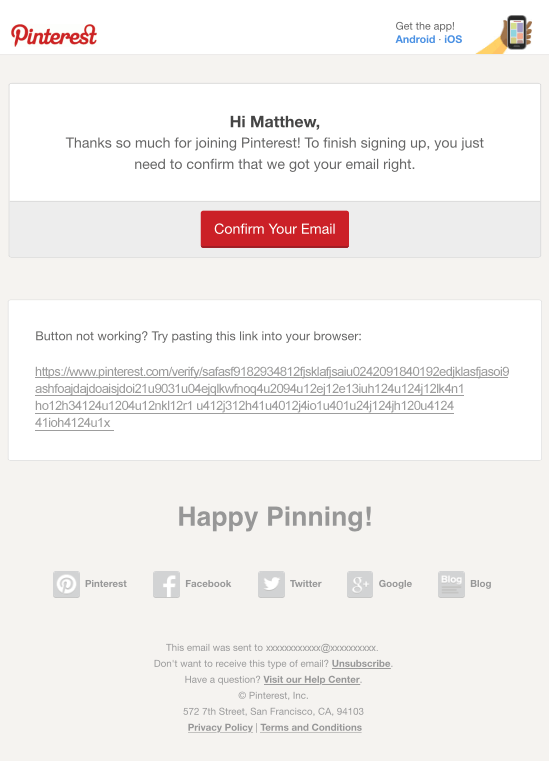 Add links to social media in your email design. Let users become your friends and promote your brand. Emails with social media links have 55% more clicks than emails without any links. Include a link for newsletter subscription, just in case your customers want to receive updates about new deals or exclusive content. Include a link to customer service. Make it easy for your clients to reach out to you if they are in need. Include a link to **shipping tracking. **This will help to reduce uncertainty and anxiety for your customers, in case the shipping confirmation email doesn’t come to their primary inbox. Moreover, emails with an order tracking link have almost 50% higher click-through rate than emails without it. 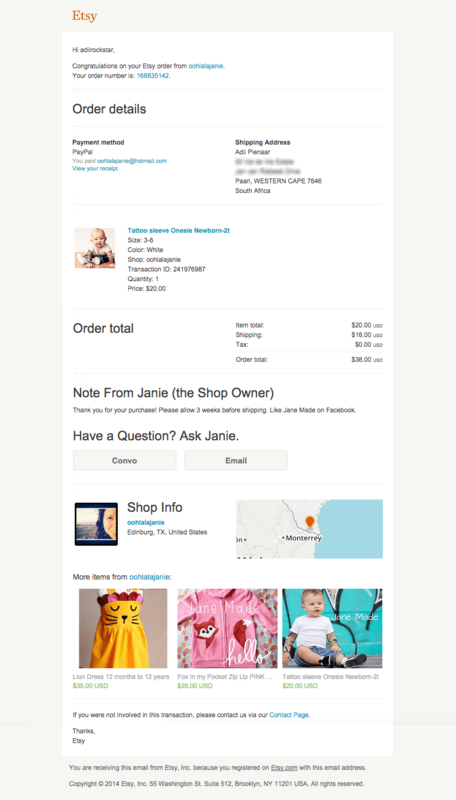 Add cross-selling items to your order confirmation email. Add pictures of goods or even services that are relevant to the purchased items. For instance, if your customer ordered an expensive phone you can include an order confirmation, as well as an insurance offer, or compatible accessories. 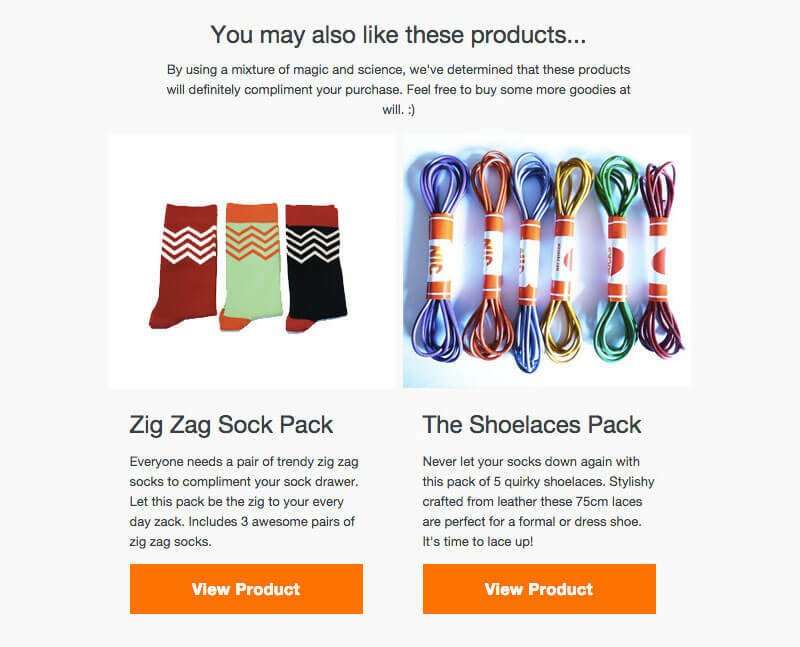 Or, like in the example below, add an offer for socks and laces to your customer’s shoe order. Use predictive models that make recommendations to your customer based on their previous behaviour. Predictive dynamic content in your email design increases revenue per email by 154%. Predictive content can be used both for cross-selling and upselling. Add a promotion, discount, or coupon code to your order confirmation email to incentivize future purchases, because 44% of customers made their second purchase based on a promotional email. Everyone has heard about the Uber referral program, as a lot of people have used it. Some nearly abused it, like a guy who earned 90,000 USD in six months on Uber promo codes. Not only Uber includes promo codes in its’ receipts, maybe you should too. Clarity in subject lines works better than creativity. But at the same time, the subject line should not immediately give away all the information contained in the email, it should just let people understand what kind of information is there. Then it will have high open rates. Confirmation emails are not a dead-end in communication with your customers – you can improve their design and use them for both cross-selling and upselling.